ESPN Radio’s Weekday TV Simulcasts to Have One Home: ESPNEWS - ESPN Press Room U.S.
ESPN Radio, which launched January 1, 1992, provides more than 9,000 hours of talk and event content annually on 500 nationwide stations, including more than 375 full-time affiliates and clearance in the top 25 markets. ESPN owns and/or operates stations in New York, Los Angeles, and Chicago. 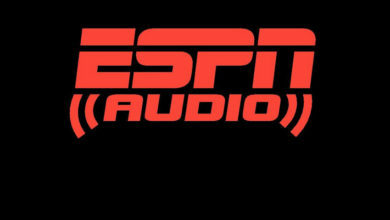 ESPN Radio programming is also available on SiriusXM and via digital distributors Apple Music, Slacker Radio and TuneIn. ESPN Audio launched its first podcast in 2005, and in December 2017 reached five million people, ranking ESPN fourth among podcast producers in America (per Podtrac). The most popular titles include Fantasy Focus Football, The Lowe Post and FiveThirtyEight Politics, as well as podcast versions of The Dan Le Batard Show with Stugotz, First Take, Pardon the Interruption and Around The Horn.